I only managed to visit Hiroshima after my third visit to Japan, and that was only after living in Tokyo for 3 months! To help others visiting Hiroshima, I’ve put together a Hiroshima Itinerary. If you’re planning on spending 1 day in Hiroshima (or longer!) read on if you want some tips on planning your Hiroshima itinerary! Why should you visit Hiroshima? Hiroshima is the capital of Hiroshima Prefecture, located in the southern part of Japan (it is south of Tokyo). Known for its violent past, Hiroshima is where the United States Army Air Forces dropped an atomic bomb on August 6th, 1945 towards the end of World War II. Despite its sad past, there is so much to be learned from visiting Hiroshima. This modern city pays respect to its past, with a museum and various memorials which are worth visiting. Visit Hiroshima because you want to learn and understand Japan’s history and part in the war. The timing of our visit was around when North Korea was launching test missiles across South Korea. This was a sad reminder of how dangerous nuclear weapons are to human existence, and it was hard to not connect the horrors of what happened to the people of Hiroshima. How long should you visit? Hiroshima is such a historically significant place, we’d recommend spending at least 1 day in Hiroshima. While Hiroshima can be visited as a day trip from Kyoto / Osaka, it can be at least a 1.5 hr train ride each way from either city. This means you’ll spend at least 3 hrs on the train between Kyoto / Osaka and Hiroshima! This is a long time, so we wouldn’t recommend it! If you are short on time, Hiroshima is still worth a visit, however, we’d recommend spending the night here so you don’t feel rushed. We also suggest spending 1 day (and overnight if possible) at the nearby island of Miyajima. 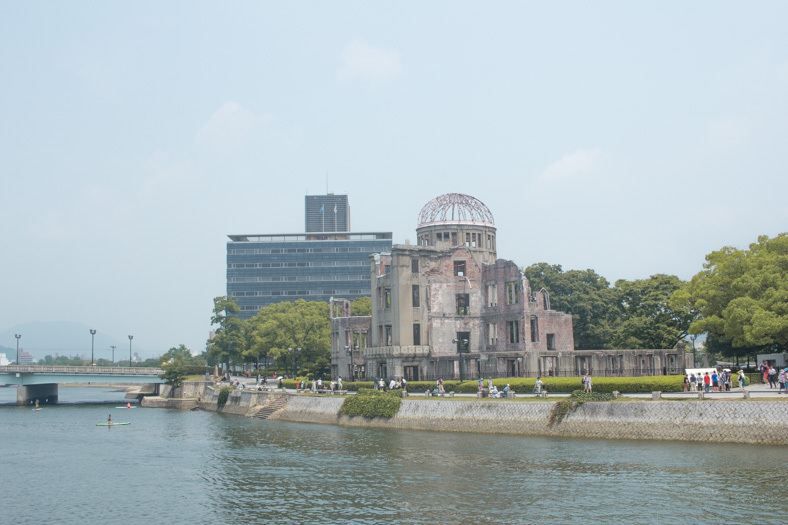 Want to read our Hiroshima Itinerary? 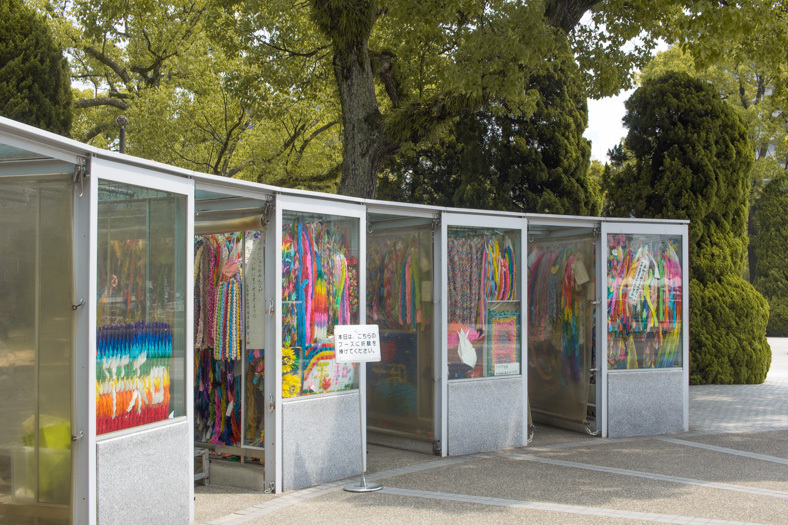 Located in the Hiroshima Peace Memorial Park, this museum is dedicated to remembering the events that led to the fateful day when an atomic bomb as dropped on the city of Hiroshima. The museum also has first-person accounts of what happened and the after-effects of the atomic bomb. The personal accounts are a sobering and shocking insight to the destruction and hurt humans can cause to each other. Especially since we were visiting around when North Korea’s nuclear weapons were featured so heavily in the media, it was a sobering reminder of the dangers associated with nuclear weapons. After learning about the horrific accounts of what happened after the Atomic Bomb was dropped on Hiroshima, you’ll probably want a quiet moment to reflect! Located right next to the museum is the Peace Memorial Park. I recommend visiting in this order, as the memorial park has more context if you visit the museum first. 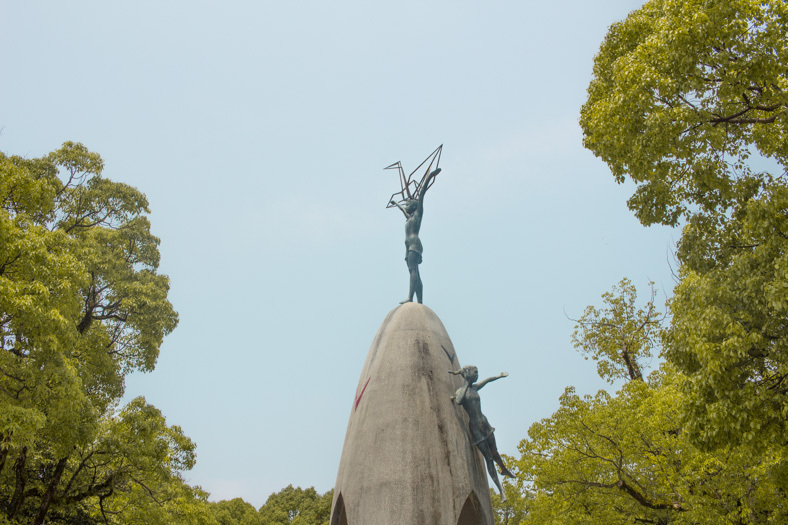 This is a memorial for the victims of the atomic bomb. It is designed as a shelter for the victims of the bomb. When visited, we really got the sense that everything that has been built to remember the atrocities that happened that fateful day and ensure it never happens again. This is probably one of the most moving monuments in the Peace Memorial Park. This monument was inspired by a Japanese girl by the name Sasaki Sadako. Sasaki was sick with radiation sickness after the bombing, and she was inspired to fold 1,000 origami cranes when she was sick. 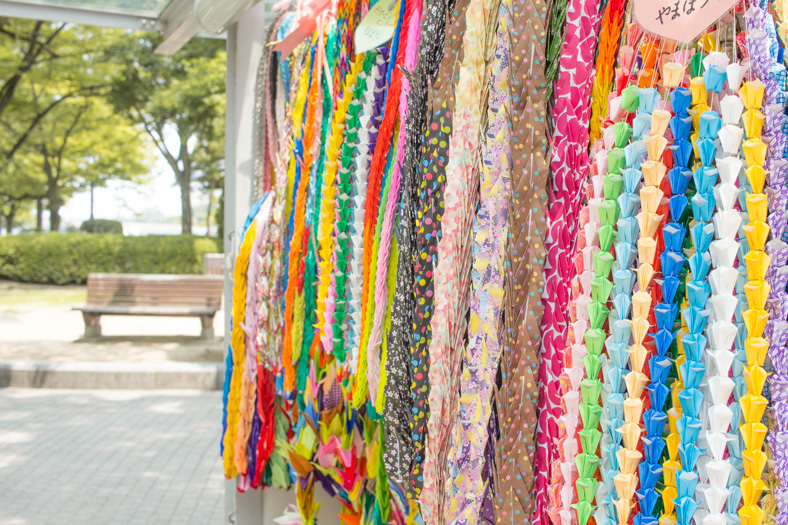 In Japan, it’s believed that if you successfully fold 1,000 paper cranes, your wish will come true. Unfortunately, Sasaki passed away before she could achieve her goal, but here you can fold origami cranes and leave them in a display. Located across the river from the Peace Memorial Park, the Atomic Bomb Dome is where the Hiroshima Prefectural Industrial Promotion Hall used to stand. This is located near the center of the bomb and was left to show the destruction that occurred as the result of the atomic bomb. How to get here: the Atomic Bomb Dome is a short walk from the Peace Memorial Park. It’s just a 3-minute walk from the Children’s Peace Monument, just across the bridge. After what will undoubtedly be an intense and heavy morning, it’s time to have a moment to relax at the Shukkei-en Garden. Location: If you feel like walking, the Shukkei-en Garden is a 20-minute walk from the Atomic Bomb Dome. Alternatively, you can take the streetcar (also known to some as a tram) Hiroshima Dentetsu No.9 from nearby Genbaku Dome-Mae Station to Shukkeien-Mae Station (the garden is a 2-minute walk from here). 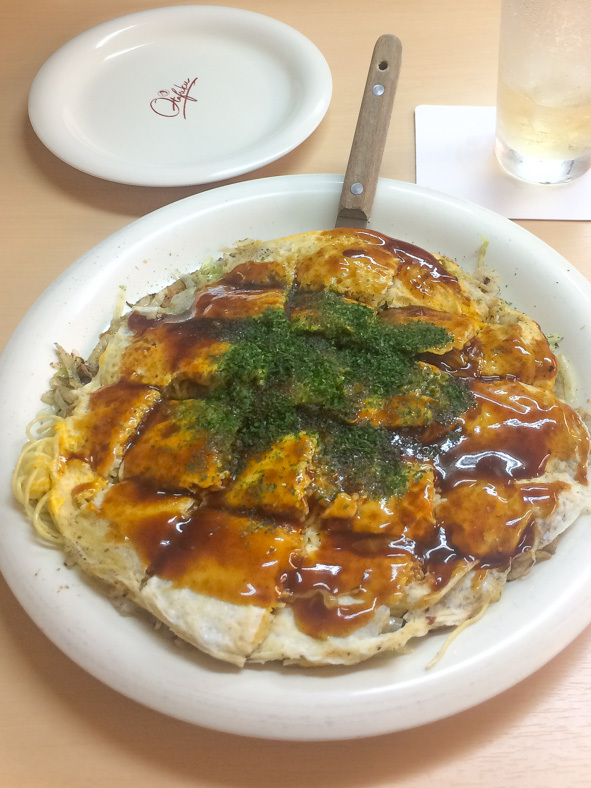 It consists of noodles, fried egg and is topped with batter, cabbage, and pork. Depending on your preferences you can also get cheese or seafood. Hiroshima is a major city, so regardless of where you’re visiting from in Japan there is guaranteed a way to get there – regardless of whether you have a JR pass or not! My favorite resource for planning travel between cities is the Japan-Guide website. 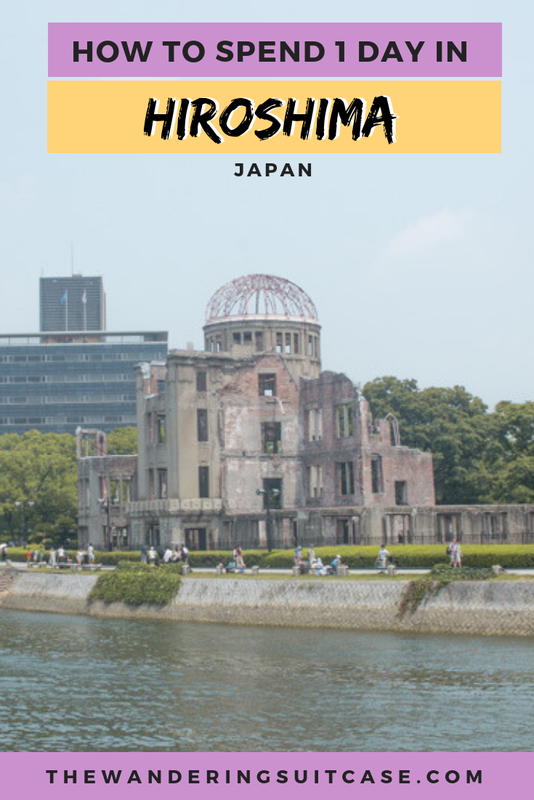 If you need tips on how to get to Hiroshima (from Tokyo, Osaka or Kyoto) check out this Hiroshima travel guide here! There are 2 main ways of getting around Hiroshima. This is via bus or tram (also known as the streetcar). The bus routes are extensive in Hiroshima. If you have more time in Hiroshima or want to visit places that aren’t listed in this itinerary, there’s 100% a bus that’ll take you there! I’m a big fan of the K’s Hostel chain in Japan – all their guesthouses and hostels are clean, well looked after and have super friendly staff! Their Hiroshima hostel is no exception. They have mixed dormitories, a female only dormitory and the option of super affordable private rooms. If you’re not a fan of sharing a room or like a bit of privacy, the private rooms are a great budget-friendly option. Location: K’s House Hiroshima is a 10-minute walk from Hiroshima Station, making them great if you are in Hiroshima for a short period. They are also nearby a tram stop and bus stop, making Hiroshima’s attractions very accessible via public transport. We stayed at Hotel Sunroute when we were in Hiroshima. Our room was clean, had a comfortable bed (so important when you’ve been spending your day sightseeing!) and everything we could possibly need. The decor in the hotel was a little dated, but honestly, we weren’t complaining given the friendly smiles and comfortable room! Location: Hotel Sunroute Hiroshima is a 4-minute walk to the Hiroshima Peace Memorial Museum and the Hiroshima Peace Park. It was a 20-minute bus ride from Hiroshima Station, but for the convenience of being so close to Hiroshima’s main attractions, we weren’t complaining! If you’re looking to treat yourself without breaking your budget, the Hotel Granvia Hiroshima is a great option. This hotel has more modern decor (especially compared to other budget-friendly options), is clean and spacious. Location: Hotel Granvia Hiroshima is located right next to Hiroshima Station! This is a great option if you don’t want to take your luggage on public transport (it can get pretty tiring!) or if you’re short on time in Hiroshima. So there you have a Hiroshima Itinerary. Hopefully, this helped you plan your trip to Hiroshima!